Could a Chinese herb stop you drinking too much? 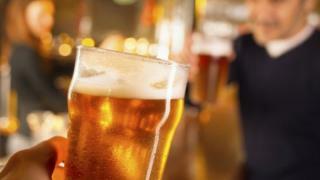 New alcohol guidelines have stressed the importance of cutting back. Could an ancient Chinese herbal remedy help you get that pleasurable buzz while drinking less, asks Michael Mosley. One of the main reasons we drink alcohol is because it makes us feel more sociable. But when we drink too much it also does huge damage. Recent guidelines recommend we stick to 14 units a week, which will be harder for some than others. So when I return to moderate drinking in February I plan to stick to abstinence, at least three days a week. But I also want to try out a herbal supplement called kudzu. Because, much to my surprise, it turns out that this ancient Chinese remedy for heart disease may also help us cut our alcohol consumption without really noticing it. Now, many of us make the resolution to cut back on alcohol, but like all good resolutions there is the danger of slippage. So for those of us with the modest aim of just cutting back a bit, could kudzu really help? To find out more the Trust Me I'm a Doctor team recently put it to the test. The Kudzu plant is a type of vine that is native to South East Asia. It's a plant with a long history, as Prof Elizabeth Williamson of the University of Reading, explains. "Traditional uses, going back 2,000 years, were for things like coughs and colds and flu, and also for blood pressure, hypertension, angina. But it also has been used since at least AD600 for helping prevent alcohol abuse." I'm generally sceptical about herbal supplements. Even if the original plant has impressive health-giving properties, and many of our more effective medicines are derived from plants, that doesn't mean that supplements based on those plants will be effective. They rarely capture the complexity of a plant and there is so little regulation of the market that you literally don't know what you are buying. Nonetheless, there have been a few intriguing studies suggesting that after taking kudzu supplements people drink less, almost without noticing. In a recent randomised placebo-controlled trial of 17 heavy-drinking American men, for example, they found that taking kudzu cut alcohol consumption by between 34% and 57%. Intrigued, we decided to test kudzu in the wild, so to speak, with a group of Brits. So we recruited a group of volunteers from Reading willing to have two nights out in the name of science. Two hours before starting we gave them pills - some got kudzu extract, others a placebo (a harmless sugar pill). None of them knew which they had just taken. Then we allowed them access to the bar for 90 minutes, during which time they could have their fill of beer, wine or spirits. We were, of course, closely but surreptitiously monitoring how much and how quickly they drank. Kudzu doesn't seem to alter the urge to drink, but rather how quickly you top yourself up. A recent study carried out in a lab of healthy male and female volunteers found that after taking a particular extract of the kudzu plant, called puerarin, people drank more slowly, taking more time between sips. Puerarin is an isoflavone, a type of antioxidant. According to Dr David Penetar, a psychologist from Harvard Medical School who helped run that trial, it probably works by increasing blood flow to the brain. If the kudzu extract helps alcohol get to your brain's reward centre faster, then you will feel the effects sooner, which hopefully means you won't drink as much. So what effect did kudzu extract have on our volunteers from Reading? Well, one week after their first fun-filled outing, our volunteers were back in the pub to repeat the experiment. Those who had had the placebo last time were given kudzu extract this time, and vice versa. Again, they didn't know which pills they'd taken, and we closely monitored what they drank. At the end of the evening it was time to open the envelope and reveal the results. When our volunteers partied after having had a placebo they drank an average of seven units per person. When, however, they had taken the kudzu beforehand, they drank an average of 5.5 units, which meant that overall they had drunk about 20% less. None of them had noticed any side effects from the kudzu, indeed none of them were aware when they had taken it. But before you rush out to buy kudzu extract, there's a sting in this particular tale. Our test, and those carried out in the US, involved each person taking 500mg of the active ingredient. But we looked hard and we couldn't find any brands of kudzu available in the UK that have the government's THR mark, which guarantees that they actually contain what they say on the label. We had kudzu extracts laboratory tested - and they didn't contain anything like the amount they said on the packet. Tightly controlled studies on drinkers are just getting underway in the US. If they are successful kudzu could become a recommended treatment for heavy drinkers - but only when a standardised product is available. Michael Mosley has given up alcohol for January - but does anyone know exactly what effect drinking has on our health?